Matilda Anderson was born at Sparta, WI, daughter of Lars and Lena (Pedersdatter Benerud)Anderson, and moved with them to Ventura, IA. There she attended Ellington School, was confirmed in Ellington Prairie Lutheran Church, attended Ventura High School, and went on to college at Garner, IA, where she graduated in 1891. She then taught school at Garner until 1895. 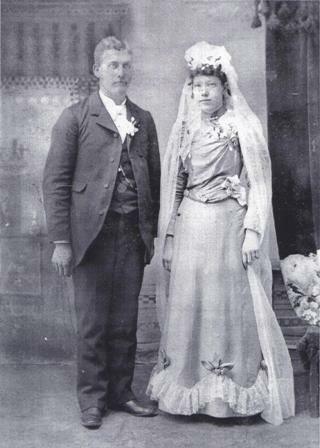 Then she was married to Charles Halverson (1873-1914), and they farmed near Ventura. Matilda and Charles Halverson had five children: Lloyd (1897-1967); Ellen, Mrs. William Hollatz (1899-1981); Etta, Mrs. Henry Christianson (1899-1964); Vernon (1903-1970); and Selmer (1908-1941).